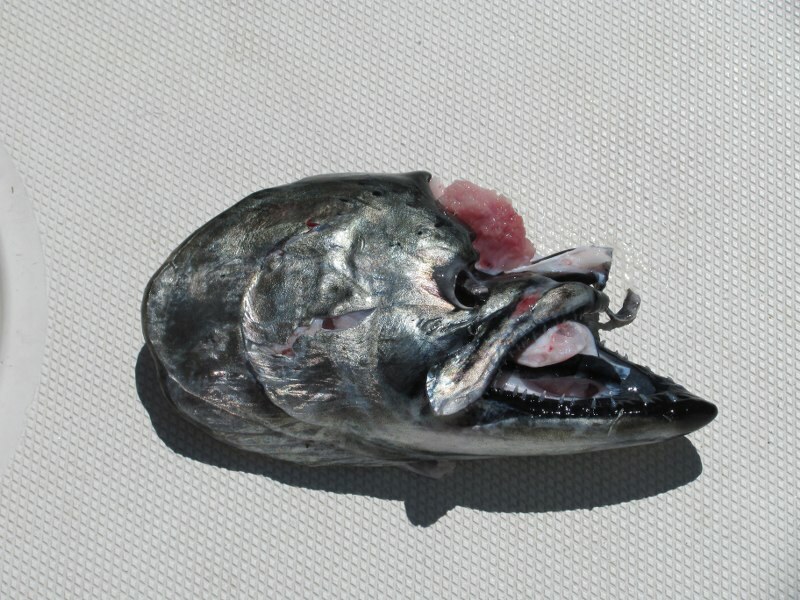 Fishing in Sooke and Victoria has been hot and cold in the last few weeks, but some pretty good reports came in this past weekend. Luke from VIP Fishing Charters took out Todd and his 2 brothers from Alberta for 5 hours at the Trap Shack. 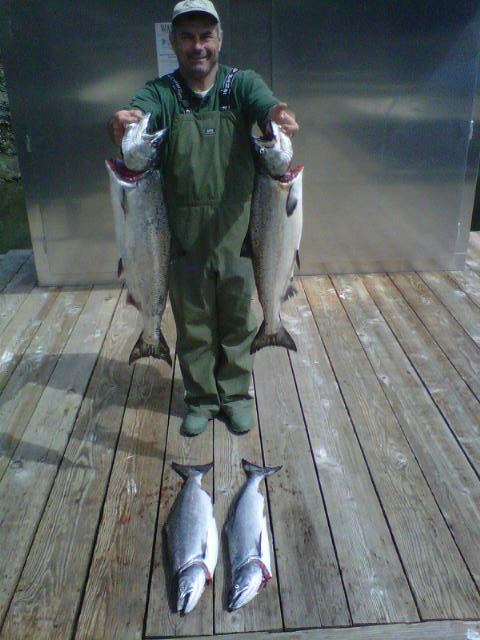 They caught 5 Chinook salmon, losing 2 more, and with a bonus double header. They had a blast, non-stop action! Towards Victoria, No Bananas Fishing Charters reports steady action at Constance Bank on the ebb tide .... one morning trip they had a dozen salmon up to the boat. The salmon are not huge, but nice "teenagers" 12 to 17 lbs. Any lure imitating needle fish is the call. 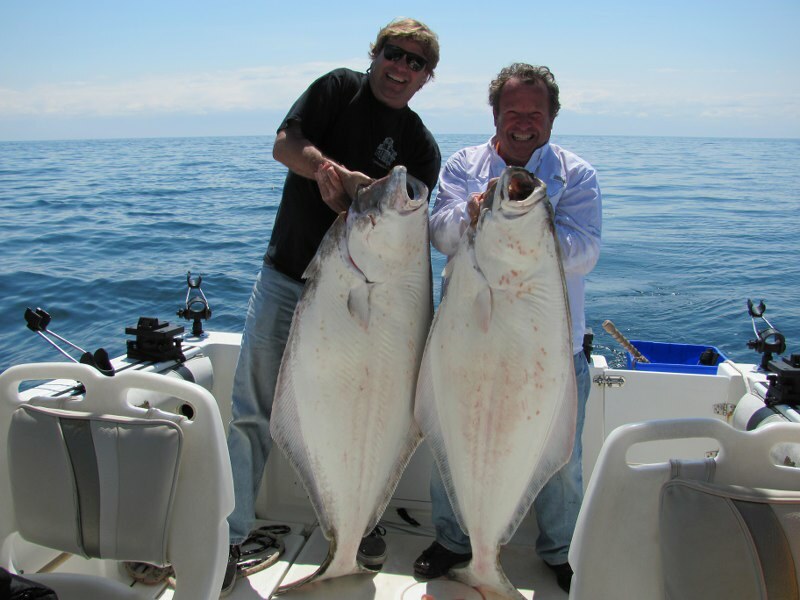 Foghorn Fishing Charters also reports decent halibut fishing and great salmon fishing, ranging 8-30 pounds. Though he reports a BIG problem with seals. The nice weather has been a bonus. All in all, some good fishing to be had ... get out there and put a hook in the water! Photos below: a couple of nice Foghorn halibut, four No Bananas salmon, and a salmon half eaten by a seal.